Originally from Belarus and the child of an ambassador, Alex Sokolovski lived in multiple countries before eventually settling in the U.S. He joins the show today to share the key components of his personal achievements and the unique way he views true success. You'll get the chance to learn from some of his biggest money mistakes, get tips on investing, and much more. Listen in to hear Alex discuss the importance of your values and how they directly influence and affect your success, as well as why he thinks it’s so valuable to have a healthy and relaxed mindset around making and losing money. We also go over different investing options, the importance of doing due-diligence, and why working with a professional to manage and invest your money is often worth the expense. Alex’s background as an ambassador’s son. His definition of success and where it came from. How he has balanced education, family, and work. The differences between how he and others view success. His biggest achievement and how that came about. A few of his worst financial decisions and how to avoid them. Contrasting life and work in the U.S. and Belarus. The importance of not putting too much emotion into making and losing money. An overview of college savings plans. The basic rule of budgeting that Alex follows. What he might do differently with unlimited money. What charitable trusts are and how they are helpful. Alex's goals for the future of his life, work, and family. Why he thinks it’s important to start your own business. His best tips for coming to the U.S. and managing money. Sahil Vakil: Welcome everyone. Welcome to the eighth episode of the MYRA Wealth podcast. Our guest on today's podcast is Alex Sokolovski. Alex was born in Belarus and lived there until the age of six years. His father was a career diplomat and worked for the United Nations. When Alex was six years old, his family moved to the United States for a period of nine years. At age 15, Alex returned back to Belarus and lived there for another 15 years at which point he won the Green Card Lottery in the Diversity Visa Lottery and immigrated back to the United States with his wife. Alex currently resides in Westfield, New Jersey with his wife and little daughter who was born in the United States. Alex's father is Belarusian and his mother is Armenian. They met in Bamako, Mali, where they worked as French Russian interpreters after obtaining graduate education in linguistics. Alex's parents speak 10 languages. Besides working for for nine years in the United States, Alex's father worked among other countries in India for six years, where he was first ambassador of Belarus and India. In addition to traveling around the world with his family as a child, Alex led a trade show company in Belarus prior to relocation to the United States. He's traveled to more than 50 countries around the world to organize international trade shows. Currently Alex works as a director of product management at Prudential Financial. He has a PHD in economics from Belarus School Of Business and an MBA from the Wharton School. His professional interests include corporate strategy, product management and finance. Outside of work he's an avid tennis player and a chess player. 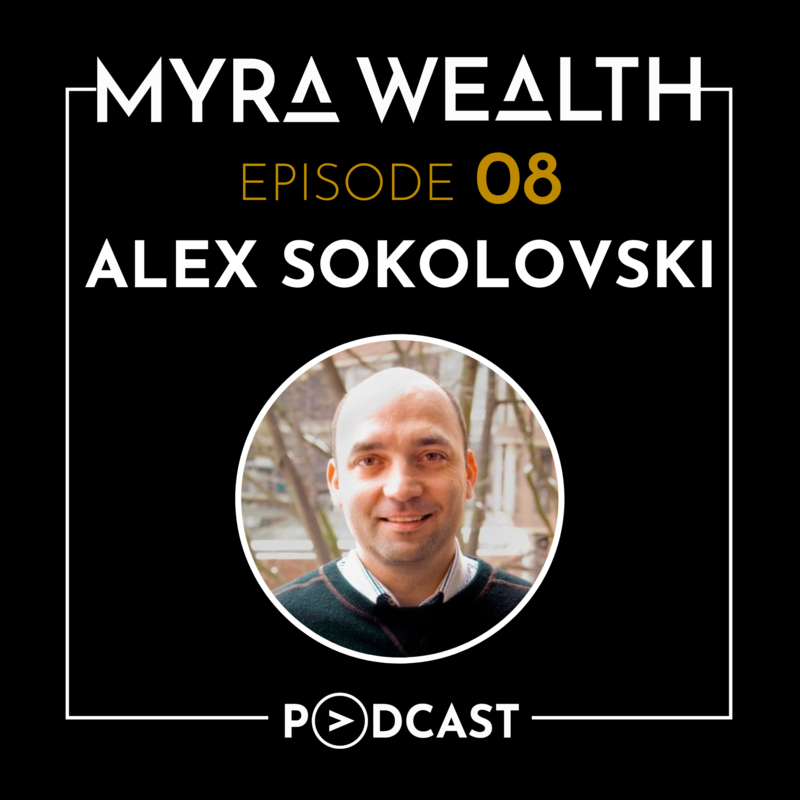 With that introduction I hope you enjoy our MYRA Wealth episode with Alex Sokolovski. Welcome Alex. Welcome to the MYRA Wealth Podcast. Alex Sokolovski: Hi Sahil. Thank you. I'm excited to have this conversation. Sahil Vakil: Absolutely. It's a pleasure to have you. Alex, it was amazing. We just gave the professional story and a personal introduction of your family, but if there's anything you would like to add to that, please go ahead and briefly introduce yourself. Alex Sokolovski: Sure. I think you covered it pretty well. I do have that Bachelor's degree in business from my native Belarus, and then I completed PhD program also in business in Belarus. After relocating here to the US, I obtained my MBA from the Wharton Business school. Not a very diverse background, unfortunately. I wish I had more of a diverse skill set as a lot of my colleagues have engineering backgrounds or communications, mine is purely business, for better or worse. In any case, in terms of work experience, I've spent almost 10 years organizing trade shows around the world, which was a phenomenal gig. I've traveled extensively to many different countries in the world. After relocating to the US, I headed a product strategy for a European firm and then worked as a product manager at eBay and currently product management at Prudential Financial. Sahil Vakil: It sounds like, Alex, you've lived in Belarus and the United States, but your family ... Your father seems to have traveled the world. Are there any other countries that you have lived in, in the past as well? Including India, where it seems like your family was there for about six years. Alex Sokolovski: Yeah. Obviously, I did really travel a lot with my father being a diplomat and even before I can remember, I spent some time in Syria where either my parents have worked. I only have pictures of that time. Since then, I've lived in Belarus before our country relocation to the US. After I came back from America to Belarus, I can almost ... Permanently I stayed there. My father had a lot of trips. He worked in India for six years but by then I was already working so I visited them pretty frequently. As far as my permanent living, it was only Belarus and now, United States. Sahil Vakil: That makes sense. Clearly, Alex, you're very well achieved and prosperous in the sense that you're currently the director of product management at Prudential Financial. Given that you've lived in different countries, do you have a definition of success and did it vary for you growing up in Belarus versus now in the United States? Help us understand where that definition comes from, as well. Alex Sokolovski: It's a great question. I actually came up from a very traditional family where family values are very important. It has a pretty big impact on my life. The way I think about success is ... If you ask someone who's an investment manager and that person made $50 million, but that person is single ... a lot of people would think this person is highly successful, I would probably say no. Having said that, if someone is happily married with kids but can hardly make ends meet I'd say it's also probably not a successful person. To me, success is being a well rounded person. Being healthy, highly confident in your retirement plans, have meaningful relationships with your family and friends and obviously having the means to enjoy life. Overall, it's about being this well rounded person. Sahil Vakil: That makes sense. 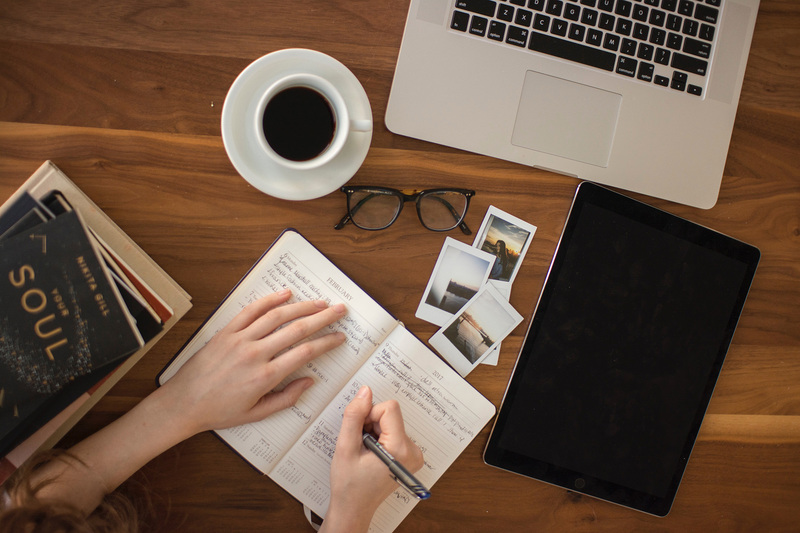 It sounds like your definition of success is kind of this hybrid combination of both personal success as well as professional success. Clearly in your mind, having that balance is probably the right way. I still remember, Alex. You and I were in business school together and we were pursuing the executive MBA at Wharton. We had several conversations around the balance where life was divided into four quadrants. One quadrants was school work, because we were in an executive program. The other quadrant was professional work at the workplace, because we were still pursuing full time jobs. The 3rd quadrant was family life or family time and the 4th quadrant was sleep. A balanced individual got six hours of each, right? Tell me, how did you balance that executive MBA program with your work, with your family and with sleep. How did you balance these four quadrants? Alex Sokolovski: I can tell you, Sahil, I'm very impressed with how much knowledge you've retained from our MBA program. Sometimes I think that I hardly remember anything at all. Maybe my focus was kind of less about the education component but more about ... given that I'm a recent immigrant my focus was more about how to learn, how to find a job in the US and learn about different industries. But to your question, obviously, time was the most challenging quadrant and I'm sure you can attest to that as well, as can all the other working executive MBA students. When you're in the program you think ... first of all you're astonished in how much you can actually chew in these two years. Then you think, once I'm done with the program I'm going to be able to have so much free time. And again as you can probably attest to, your life quickly fills those gaps. Sleep deprivation is a common thing. In terms of work, I was actually very fortunate to have a very supportive management in a sense that they realized how busy I was. They didn't give me a lot of very heavy tasks. At the same time, it was a great job and allowed me to pay my bills so kind of that flexibility from management. Also the fact that I do have the PHD in business really helped me kind of grasp the core education concept relatively easily, so I could focus on kind of delivering the things that we need you to do, or the homework assignments and then being able to have those career based conversations. So, I say these factors really helped me get through the program. I think it was amazing program and great to go through and it had some meaningful impact on my career after I completed the program. Sahil Vakil: If I'm hearing this correctly you're saying you had a very balanced schedule and in that sense, your definition of success was a balanced individual. It seems like you did achieve success in the last few years. Let me ask you this. Clearly your definition of success is achieving that balance both in personal and professional perspective, do you feel that there's a difference between how the current generation versus the previous generations have defined success? Do you feel like your parents or your grandparents, your ancestors defined success in the same way or has that definition changed as the family has immigrated to the United States? Alex Sokolovski: That's a great question, Sahil and I'm probably gonna give you a pretty boring answer, given that I come from a traditional family. I would say there isn't a big difference in how my parents, their parents were looking at success. I'd probably say the biggest difference is between me and the full time MBA students who are very competitive in nature and very laser focused on making as much money as they can. So, to them things that are important to me, like family and meaningful relationships, to these guys is secondary if not just a noise in the system. Again, our values also change throughout the lifetime. If I remember myself when I was in my early 20's, of course I probably didn't care as much about ... I didn't think as much about when will I establish family. I was very career focused and trying to be successful. The values are a core traditional but these values change throughout your lifetime a little bit. Ask me 20 years from today and maybe my values will change again. Mostly, I'd say given my traditional background, I'd say that values are overall pretty consistent with those of the previous generations. Sahil Vakil: That's helpful to know. You're saying it hasn't been a cohesive change in your mind between what previous generations and your generation, or at least from Belarus, have seen over the years in that sense. So just digging a little deeper into your professional career, and again, this is a show on personal finance as well. We'll jump into some of your personal finance decisions soon. Before we go there, just quickly from a professional perspective throughout your life, has there been anything that has given you this greatest feeling of achievement or this achievement of success as you defined it? Alex Sokolovski: Yes. I'd say yes there is. There's not probably one specific turning point, but I would say, overall, my biggest achievement is being able to become successful in this country. I've had a very, very successful career. In Belarusa where I had a great career. I was leading a great company, I was doing these trade shows around the world, traveled extensively, few times I presented to the Government of Belarusa where I had the Prime Minister of the country sit across me and then the Minister of Industry would be on my right, the Minister of Agriculture on my left, the Minister of Oil Industry and I'd be presenting them the status of the trade show, so it was a high profile job and very strong in that work. And my wife, at the time, she was also an established dentist. So when we won the Green Card Lottery we had a lot to give up and we didn't give it a second thought. We packed our bags and came here. Basically, we had to start from all over. She had to work as a dental assistant while she was already a doctor. She had to go to dental school. I had to start working at a fine job and working wholesale food distribution. And come now, six years later I have my Wharton MBA, I work at a great company in a highly sought after functional role in digital product management. My wife is now an established dentist. So, I think the biggest achievement is being able to move from one country to another, given all the vast cultural, economic and other gaps and being able to become here pretty successful. A lot of people ask me, "Well, Alex, why are you even leaving? You have a lot to give up and you have no idea how your US life will ... what are you gonna do there? Will you be able to become successful?" There was a lot of pressure coming from friends and family and being able to do that in a pretty short span of time, I would say is our greatest achievement. Sahil Vakil: That's actually an amazing story. So what was the determination factor for you because it sounds like a very easy decision. I mean, you didn't have to think twice. You pretty much got the Green Card Lottery and you were like, "I'm on my way. Was it because you saw an opportunity and kind of the United States as providing you and your family with more opportunity and a stronger infrastructure? Or, was it something in Belarusa that you didn't jive well with. What was kind of the thinking behind making such an important decision you know that quickly. It sounds like you were convinced. Alex Sokolovski: Yeah. Yeah, you know I was. Again, you can never be 100% confident that things are gonna work out very well. First, I lived in the US for almost nine years, so when my father was working here in New York in the United Nations, we lived in an embassy. At the time it was kind of a Soviet Union embassy. Belarusa did not have a separate representation to United Nations at that time, but the 80's you know were very tough in Soviet Union. There was a deficit of food products on the shelves and life wasn't too exciting. People were making very little money and at the same time I could compare it with US where you go into supermarket and you're shocked because there's multiple rows of different products. Everything is so pretty packed and so tasty, especially as a kid. You look at all those things. And then you look at how people are dressed here. They're dressed in good clothing. Back in Soviet Union, everyone was, pretty much, wearing almost the same clothes which was dyed in one factory. That was a huge influence. Just my happy childhood that my parents were able to create for me. Basically, I had an american mentality by the time I left US, I think I kind of became an American kid with an American mentality. Going back for me was actually a bit challenged because you go back to USSR was tough. Obviously, I was able to establish my life there as well, so that was a huge factor. The fact that I lived here and I really liked here was the biggest contributor. The second biggest one was, the income potential is still way higher in the US. America is one of those countries where ... yes, everything is expensive but the salaries, the earnings are much, much higher. Belarusa is a country where you can live very comfortable on $500 a month, so if you're making a couple thousand a month you can do pretty well. The fact that the income was much greater here in the US. The opportunities, that was the second contributing factor. The third one is to your point, just the infrastructure, the customer service, everything being oriented to the customer is important. In Belarusa you can't return things. You buy them in a store and they tell you well "No. You can't return them" or they make it very, very complex. Here, in the US because there's so much competition and companies are fighting for your business, you as a customer enjoy a lot of benefits. So I'm not sure if the folks who lived in the US realize that. They live in a very, very comfortable environment, which is not necessarily present in other countries of the world, which they may not appreciate. Those three factors kind of make it an easy decision. I had applied for Green Card Lottery for multiple years, even having this great career in Belarusa I was always focused on leaving. Of course, it's always easier to leave early when you have more potential to realize these opportunities but I was still happy that even though we left when we were in our 30's and we had to reestablish our life back, I'm still happy with that decision. Sahil Vakil: I think it makes a lot of sense. Because I just thought back to myself, you moved to the United States when you were six years old. You may have just started your high school K to 12 program at that time and you were here for 9 or 10 years, which is all of your school life. You were indoctrinated by the US culture and society and all the aspects that the United States had to offer for you. So it may have been ... a reverse culture shock for you to go back to the USSR when you pretty much spend most of your childhood here. Thank you for sharing that. That makes a lot more sense. On that point just talking about your childhood, I mean, do you have any childhood memories of money in that sense as well? Alex Sokolovski: Sure, you know, there's plenty. The one that comes to mind is where I learned a good life lesson was I was about 10 years at the time and I was here in the US. We had some sort of a school trip which involved a walk in some mountainous area. I can't recall exactly where it was but I do vividly recall my parents gave me $20 which at the time was a lot of money for a kid. At that time, you could get a large sandwich for $1.50 so I have this 20 bucks. I'm thinking, "I'm gonna get six slices of pizza and I'm gonna get a soda. What happened was my parents missed the part that they were supposed to give me a lunch box. There was no formal kind of lunch break. Where we went to some museum and then we went to a library and then we went to these mountains and by then, I was pretty starving. I had this 20 bucks in my pocket and that was the first time that I realized that money is no more than a piece of paper. At times, it's obviously worth a lot more, but there are times where money is no more than just a piece of paper. So that was really good life lesson for me. Sahil Vakil: I think that's a fantastic life lesson to get when you are a young child, right. You quickly realize that money can buy you everything but happiness. For you at that time, happiness just getting some food in your stomach because you were hungry. On a similar note, coming back to your current day and age, If I may ask, what has been your best financial decision that you've made to date. What would that be? Sahil Vakil: Let's talk about worst financial decisions, then and what you learned from them. I think that's a more interesting story than not. Alex Sokolovski: Yeah, exactly. So, I have a couple. The first one is, again, when I was in my early 20's and I've had this trade show roll, I was very busy and I had my cousin's who were in a trucking business. They persuaded me to try to join them. It was supposedly a very profitable business and I wouldn't really need to get involved. So it sounded like a good proposition for me. They asked me to buy a couple of trucks for them. It was a trucking business where they deliver goods to like Europe. I thought, "It's great. I don't need to get invested, I'm gonna do my work stuff and they're gonna make some money for me." What ended up happening is, I bought the two trucks and we had some random calls where they told me how business was going. I think about two years had passed when we finally sat down and I was like, "Let's talk about the money." They were like, "Well Alex, the business actually didn't go as well. Our trucks kept breaking and repairs in Europe was very expensive. The rates went down so if we can sell the trucks, at best we're gonna just give you your money back. That was a good lesson for me. Don't ever give money until ... in a business sense, like if you want to invest in a business unless you control the business don't invest the money. I've actually had a couple of instances in my professional life where I saw some incidences where the owners really didn't make decisions and they weren't sure they weren't still at finance to let other people run their business, which was kind of a mistake. Sahil Vakil: It sounds like what you're saying is, invest in what you know and what you understand, if I understand you correctly. You're saying then, also, perform your due diligence before you make the investment, right? It sounds like, if you had known a little more about the business and it's operations and had some management insight and control, you may have been able to solve some of the issues that they were having. That a very interesting kind of thought because we as investors, end up making investments in the stock market and companies where we may not completely understand the fundamentals. In private equity or venture capital firms where you're kind of betting on that long term future and on the entrepreneur and kind of a product market fit, it may not have an existing track record, in that sense. It's interesting that you mentioned that, to physically invest in what you don't have control, which is I think against what most people in the industry are currently doing. Alex Sokolovski: Yeah, it's a good insight, but I would say when you're investing in the market there's always a risk. Inherently, there's a risk and you can’t control. I was more pertaining to a situation where if you invest in the business or when you have co partners. In that sense, like when you build a business. You want to understand, in detail, what are the finances, what are the operations and what are the marketing plans. In terms of investment, you make a really good point. I'd say, work for the professional, especially since there's always risk involved and there's a lot of knowledge needed especially in a first kind of attempt to invest, I would defer to taking advice, someone who's knowledgeable. From my understanding, your company actually provides that advice. I encourage the listeners to initially start, at least, with a professional. Then, start gradually investing on your own. Sahil Vakil: Thank you, Alex. We appreciate that endorsement. So you were mentioning about the second financial decision. The other learning area where you had, please go ahead with that story, as well. Alex Sokolovski: Your question triggered a couple of thoughts vividly in my head so I actually have two more if time allows. The next one, I was gonna talk about the executive MBA. I would absolutely not call it a bad decision. I think it was a good idea. But when I got in the program, I learned that a lot of people were fully or partially sponsored. My current company pays 100% of tuition if you get to elite executive MBA, which turns out to be about $200 thousand. If the listeners are considering the executive MBA and if it fits their age criteria and where they are in their career, I would kind of encourage them to do some research and to find some companies who are paying tuition on behalf of the employees. Try to get in those companies and work for a few years, establish yourself there and make a case for sponsorship. Then, you'll be able to save a lot of money. That's something that I wasn't able to do, but I think it's very doable. I encourage listeners to kind of try that as well. Sahil Vakil: So, you said you weren't able to do this? Even though your company sponsored 100%, did you not evaluate the program when you were applying or did you just find out that they were sponsoring 100% after you graduated? What was the disconnect there? Alex Sokolovski: At the time, the company where I was at when I applied, they didn't have a structured MBA sponsorship program. In my current company, to which I joined after I completed my MBA at Wharton, my current company has that program. So my advice is, yes. Do you your research. There's a lot of companies who sponsors their associate. Figure out a short list of companies, establish yourself, build a case and then get full sponsorship and save your money. Sahil Vakil: Got it. So you just wish you had done the program two or three years later at this current company. Sahil Vakil: Got it. So just moving on in terms of our episode here, do you have any happy, or unhappy moments as they relate to money? Anything that you can remember? Alex Sokolovski: Yeah, you know I probably don't have. Just because my mother was "Don't be happy when you make money and don't worry when you lose it." I think the universe is a balance and I've witnessed this in multiple instances where things always start to even out. As an example, If I invest and if I find a great stock and make a couple grand and I'm happy. Very shortly, something will happen where I need to give this money away. If my wife needs a new laptop, or she needs to attend some course which will actually cost exactly almost the same amount of money that I made in my stock. Similarly, if I need to spend some significant amount, I know it's gonna come back to me through a bonus or kind of some other way. So this happened to me throughout my lifetime and I'm a firm believer now that universe always balances out. By the way, this kind of reinforces our giving to various charities, besides just doing the "right" thing and helping those who can't support themselves. We're also confident that the universe will find a way to pass back whether it's financially or in some other kind of rewarding way. So I'm not sure if that's the answer you're expecting, but I really try to not get excited when I make money and not get disappointed when I lose them. Sahil Vakil: No, that's very fair. Clearly, you don't equate happiness to money which is absolutely ... a lot of people don't in that sense. I think that's probably the right way to think about it as well. You also don't equate success and money. In a sense for you, being successful is having that balanced life and doesn't equate to having that title or that paycheck or fame or name or whatever it is. In that sense, if money doesn't mean success to you, if it doesn't give you happiness, then what is the one important thing money gives you today. Alex Sokolovski: I'll keep this one simple. It's basically the ability to live a nice comfortable lifestyle, have a pretty home, drive a good car, buy quality things so that sort of thing. Just being able to spend and enjoy life, also the ability to help others who are less fortunate. It's a great feeling where you are able to help someone in a mutual way where you see the impact of the help that you are doing to someone. You've also got to invest in the future. You have to always think about what your own future looks like. If you have kids, you also have to look at their future. As you know, in the past decade or so, tuition rates have escalated rapidly and by now they've risen out of the typical family's reach. You have to enjoy life today but also be mindful about the future. Sahil Vakil: In that sense, you mentioned a couple of things. How you said tuitions have risen very quickly. Are you planning car key education for your child? If so, how are you planning for that? Give our listeners some tips in terms of what strategies you might be deploying. Sahil Vakil: In terms of education savings in the United States, there are three main ones that come to my mind that we typically recommend to our clients. One is the 529 plan as you mentioned, Alex. The other one is the Coverdell ESA and the third one is the UGMA/UTMA plans. For your two year old daughter, Alex, I would definitely say that you should start investing in the 529 Plan. But before I go any further, let me give our listeners a quick overview on what that 529 Plan is. In general, the 529 Plan is a common sense plan because it was initially created to help families save and pay for qualified higher education expenses that would go to educational institutions including post secondary trade and vocational schools as well as two to four year colleges and post graduate programs. Most recently, following the Tax Cut and Jobs Act, the TCJA, the 529 Plan scope has been expanded and now it allows families to use up to $10 thousand towards tuition expenses at private, public and religious, elementary, secondary, K to 12, education programs. So you can even use these expenses when kid is not in an undergraduate or graduate degree program. However, just note that not all states have adopted this federal update and in certain states, including New York as an example, and set up payments from a 529 Plan to go towards tuition as non qualified expenses. New York state, as an example, gives you $10 thousand state tax deduction, they will recapture any state tax benefits if you use the money towards K-12 tuition. In general, 529 Plan's are a great college savings instrument. The contributions and their growth, federally tax deferred, withdrawals to pay for qualified education expenses are tax free. In addition, even though the 529 Plan does not offer federal tax deduction per se, there are states like New York state that allow up to $10 thousandif you're married $5000 if you are single from your New York taxable income. There are other states as well that have these state tax deduction benefits. Remember, New York does not align with kind of the federal mandate and as such if you do use your New York funds to pay for K to 12 tuition, they will kind of take back that state tax benefit that they've provided. I mean just quickly, other benefits of the 529 Plan there are income phase outs so anyone pretty much irrespective of how much money you make can contribute to a 529 Plan, you as the parent of owner, Alex in your case if you want to contribute for your child or education than you can put it into a 529 Plan and she can be the beneficiary, you can be the account owner. There's a couple of advantages out of that is basically it doesn't impact your child's eligibility for financial aid because it counts in your name. They can still be eligible for financial aid in the future. Obviously, if they get a full scholarship or decide not to go to school, then you can always change the beneficiary as well. I think just one kind of disadvantage of the 529 Plan is, is that it's restricted for higher education use. So if you don't plan on using it for higher education or for education in general, then if you withdraw it you'll have to 10% penalty on non qualified kind of withdrawals in that sense. I mean typically we always recommend like without cutting any gift taxes that you're allowed to contribute $15 thousand, single or $30,000 as a couple into a 529 Plan. We definitely encourage contribute as much as you can especially if you plan on paying for your child's undergraduate and graduate degree programs. Because education is just getting more and more expensive. It's kind of a good savings instrument in that sense. Yeah, I mean Alex. In that sense I think it makes ... would be a great investment for your 2 year old. I'm sure she'll appreciate it in the future. Just gonna moving the conversation along, can you please tell us? Do you have any rules that you follow with your money? Alex Sokolovski: You know how there's some rules I guess 10% of your paycheck must be saved and 10% should be invested and so of course so I follow, pretty much, one basic rule is I try to make more than I spend, just because I know there will be a time where I'll be spending more than I make. Overall, my rule is just kinda staying reasonable and not going crazy with shopping. Sahil Vakil: That sounds like you make a budget for yourself so you don't go crazy with shopping. Alex Sokolovski: Yep. More by my wife though. Sahil Vakil: Let me ask you a final question now. We had a lot of discussions on money and tried to put it front and center and see how it impacts your life. I'm telling you, you don't put it front and center. Let's play a fun game. If you had an unlimited amount of money in your life, how might you change some of the decision you made. What might you do differently? Just give us an idea of Alex Sokolovski with $10 billion plus. Alex Sokolovski: Only $10 billion? It's interesting. If we're talking about unlimited amount of money not just $10 billion, probably means I wouldn't need my nine to five job. Which actually, is not really nine to five because I have to work a little in the evenings and the weekend. Unlimited money means that I'll have more than I'll ever need therefore I would probably switch the focus from my family's well being to along the lines of what can I do for others who don't have that unlimited amount of money. I'd probably do something very similar to what other people with almost infinite amount of money do today, like Bill Gates. Lots of charity to help others but also some meaningful infrastructure programs, like ecology, food quality or investing in R and D to treat some bad diseases. Those kind of things. Also, outside of just the finance part, just spending more quality time. I would spend more time with family, do more exercise. All those things that I can't fully do today due to work obligation. Sahil Vakil: So, You're absolutely right, Alex. For some astute investors, from a charitable giving perspective, we have seen them set up charitable trusts. Do you know what a Charitable Lead Trust, a CLT or a Charitable Remainder Trust is typically what we have seen our clients create. Just a quick overview of what those are, a Charitable Lead Trust or CLT is a trust that you establish by transferring assets into the trust and donating a stream of income to a charitable organization. Money left over in the trust you've established to donate or disperse these amounts is given to your beneficiaries. That amount typically that is given to the beneficiaries is tax free. Your gift tax deduction is immediate and it stays on the value of being constrained to the charity. Not only is it a great mechanism for transferring wealth to your heirs, It also provides consistent cash flow to the charities of your choice. Given that the annual stream is given its charity to these organizations. The strategies are currently used by several millionaires and billionaires families to transfer multi generational assets in a tax efficient manner. I'll give you an example. We've seen the Walton's or the WalMart family establish a pretty interesting set up. In that sense, using a version of CRT's called CLAT's or Charitable Lead Annuity Trust. I'll talk about that in a bit. The other one that we've seen similar to a CLT is a CRT. A CRT is a Charitable Remainder Trust and in a Charitable Remainder Trust they are beneficiaries and donors are paid first and as they are receiving a stream of income before charities receives any money. However, this is beneficial as it gives the individuals creating this trust, income and it helps you diversify some of your assets. It's perfect for those with highly appreciated investments that want to create an income stream for their heirs, but at the same time they want to provide consistent cash flow to charity as well. The only disadvantage I see in these trust is the annual administration fee which could be hefty. You need to have a substantial trust size given that there is a fee associated with managing these trusts. Coming to that example ... we've seen in the past, several millionaire and billionaire families use CRT's and most specifically CLAT, a soft category of the CRT. It's the Charitable Lead Annuity Trust. This is a really strong mechanism to transfer multi generational wealth in a tax efficient manner. Essentially a donor that is the millionaire or billionaire family, what they do is they lock up their assets in this Charitable Lead Annuity Trust or CLAT for a period of 20 or 30 years. They set an amount of the annuity stream that is given away each year to charity and at the end of this 20 or 30 year period, whatever money is left in the trust corpus, it goes to the beneficiaries of the trust, which are pretty much the family members of the millionaire or billionaire, the donors heirs without any tax bill. Yes, without any tax bill. Specifically, the concept is essentially when a donor sets up a CLAT the IRS assesses how much gift or estate tax is due based on how much of the trust will be benefiting a charity and how much goes to the heirs. The IRS comes up with a calculation. The IRS makes an estimate using the formula tied to the level of the US Treasury bond yields. The current rate for US Treasury bonds is hovering around 2.6%. They see how much the US Treasury bonds have yielded over that 20 or 30 year period of the trust. In a sense, if the trusts' investments outperform the US Treasury bonds then the extra earnings are passed through the heirs, free of estate tax. If you think of it from that perspective the S and P 500 has been earning us about 10% return average since it's inception. With this big enough spread between the rate that the trust generates and between what the IRS uses as a benchmark, the US Treasury bonds, you have these CLAT's have seen potential. Very typically, they leave the families that create them wealthier than if they hadn't contributed to charity. I think it's a very interesting trust set up in that sense. I think for those interested, these trusts are often coined Jackie O Trusts or Jacqueline Kennedy Onassis trust. This is after the first lady died in 1994 whose widow actually requested that the creation of one of these trusts in her name. Since then they've become very popular and they've been known as the Jackie O Trust's. Some of the families including the Walmart family and the Wharton's have been able to save big on estate taxes by the use of these trusts. You mention a couple of things. Are there any kind of societies or institutions that come to your mind? You mentioned a couple of research institutes and stuff like that. If you mention those names we can burn our show notes and I'll list those. Our listeners can go to MYRA Wealth dot com forward slash podcast to find these in the show notes and this is episode nine for those that are listening. Yeah, I don't have any specific names right now. My donations are more skewed towards children who have very bad diseases. I think let's just keep going forward then in that sense. You mentioned what you would do if you had an unlimited amount of money, Alex. What are maybe the top three things you want to do in your lifetime today, when you don't have an unlimited amount of money. What are the top three things that come to your mind? Alex Sokolovski: The top three things ... for one I want to see my little girl grow up to be a confident young lady who will try to use the potential that her friends give to her, that would be number one. The other thing is, I do want to help my wife open a dental business because I don't want her to be working for other dentists. I want her to own her own practice where she'd be making decisions on how to treat patients and utilize the latest techniques. Helping her open a business and make sure it's successful financially. The third one is just being able to not work in my retirement and secure a good solid retirement early on so that I could enjoy life at its fullest. Sahil Vakil: These are very interesting. It sounds like you have one goal for each member of your family. One for your child, one for your wife and one for yourself. Sahil Vakil: Okay, fantastic. Talk us through your thought process around ... the second one is very interesting because we have a lot of listeners who are currently working in corporate America, working for someone earning that paycheck. They do aspire in their lifetime to start their own business. Sounds like enabling your family, you and your family ... your wife starting the dental practice, in that sense. It's something that's also near and dear to your heart. How do you go about thinking through that decision making process. Are you looking at certain thresholds and metrics that figure if I make this much money, we can start a business. If I save this much, we can start ... How are you thinking through that decision? Alex Sokolovski: You're thinking about it exactly in the right way. I'd say the MDA education helps you understand how to build a business and how to look at the business and how to set it up properly. You know what things to look for. In terms of the thresholds, you have to think whether my engagement will benefit the family budget or not. For us working in corporate America, we compensated fairly well. Does the business justify my involvement or is it my helping my spare time to help her set up and then in my spare time, to help make sure that the business is run professionally. I think it's going to be more likely the case. Also, the fact that it's one thing when you own a business and you make decisions, it's the other when you work for someone else. It's good when your concepts are in alignment but if you disagree with the business owner on the approach that you're taking ... towards patients or customers ... if the business owner is reluctant to utilize the latest advancements. When you reach a certain age, you're not as marketable. Thinking your business owner can tell you "Thank you for the job well done." And good luck finding a job when you're 50. In some sense, it's also about job security. Where you own the business and if you run it well, you'll be successful. Those things are in my mind about her practice. Sahil Vakil: Thank you for sharing those. I think we're coming to a close on the episode here. I think one last question I have and we like to ask this of our listeners is ... What do you wish more international and multicultural individuals knew about managing their personal finances in the United States. Any final tips you want to leave them with? Alex Sokolovski: Sure. I would say the first one probably, deal with a professional. Initially when I came to the US, I filed my taxes myself. I thought I was saving money by not paying professionals. At the end of the day, I was just leaving money on the table by doing this. To the point you made earlier the rules about investing and selling company stock. It’s not simple in the U.S. and easily prone for mistakes. Just a simple example ... I was in such a rush to pay out my file education loan that I sold my restrictive stock units. It happened just a few days before the full year from their vesting date occurred. As you know, this involved additional high taxation. I had no idea. In addition to the almost 50% tax that I paid when I got my restrictive stock units, I also had to pay additional money to IRS which basically left me with almost nothing. Really deal with a professional. Someone who really knows all the very complex laws. That would be my advice. My second advice, overall, is ... if your listeners are not just US located or are thinking about coming to the US, it's always very good to come early. You don't follow my mistakes where I and my wife had to get the education first in Belarusa then we had to get the exact education here in the US and pay a lot of money for that. The earlier you come, the better. Ideally, you come very, very early or if you're thinking about your kids, bring them here where they're in school or where they go to college. Also, the culture is so different in the US than the rest of the world. If you miss those college years, or early years it's really hard to integrate into US life. When you do come, I see a lot of people tend to stay close to their native demographic, which we've done initially as well. Try not to stick to your community. Learn the language and try to adapt here as early as possible. I'll say this will really help you to leverage the income opportunities that are present in the US. That would be my second biggest advice. Sahil Vakil: For our listeners that don't know what an RSU is, an RSU is Restricted Stock Unit. These are typically provided to employees in technology or the high growth industries. It is a form of cash compensation that is given in the form of an equity grant if you think about it in that sense. It's a way for an employer to grant company shares to an employee who channels it like regular compensation. The grant is typically considered restricted because it's subject to a vesting schedule. You may have heard the terms the four year vesting, one year cliff, which means you vested over a four year period but the first year you're not invested. You invest it on the out curve, meaning the end of the first year. Again, it's restricted because there's a vesting schedule based on the employment you have with the employer, can be based on performance calls. It's covered by a lot of different restrictions that the company can impose. That's why it's called restricted, in that sense. ... mean you typically would receive shares after the vesting date. Only then would you have voting rights, because you do actually receive these shares. Companies can and sometimes do pay dividends on unvested RSU's as well. These dividends on restricted stock would be reported on your W2 income as wages, unless obviously you file a section 83B election. We won't go into that because it's a little more complicated. I'll give you an example because I think an example probably will provide more clarity so to say that a company grants you 1000 RSU's and the market price of the stock during grant is $12. By the time the company of the stocks vests if your stock price is $15, what you will see is upon vesting and once the stocks have been transferred to you and you have ownership of them, the 1000 RSU's and $15 on vesting means that you will report $15 thousand of [inaudible 00:50:59]income on your W2 compensation report. If the stocks have fallen in price and they went down to $10 then you would report 1000 RSU's and the $10 or $10 thousand W2 income in that sense. When you vest these shares, it comes to you as W2 compensation or it's all gonna be compensation. With RSU's you are taxed when these shares are delivered to you and in most cases, almost always, the delivery date and the vesting date are pretty much the same. The day you vest them is obviously you probably get delivery and that's when you get that W2 compensations. Your taxable income is obviously a mark of value of the shares investing. Pretty much, you are subject to any of the compensation as it's subject to taxes you're subject to federal and employment tax, including social security, medicare, any state and local taxes. You get taxed like you would on the cash compensation. The interesting part now, is the second half. Basically, once you have vested these shares and you've paid that W2 income, anything after that is basically considered capital gains. Let's consider a hypothetical example so you understand this concept. The company says I'm gonna give you 4000 RSU's that will vest over a 4 year period equally at 25% each year. Or you get 1000 RSU's each year. Let's say the grant date when they give this contract to you, the price is $18 for these RSU's. Now, that honestly, that price doesn't add up at all in this conversation. Say after year one, you invest 25% because on your contract and you get 1000 RSU's and if the stock price at the time is $20 per share, 20 into 1000 RSU's, $20 thousand would be reported as ordinary income on your pay stub, or W2. In year two, if the stock price is 25 then you would report $25 thousand of income, because you will get 1000 RSU's in year two for $25 RSU. Similarly in year three, the stock price is 50 and you're getting 1000 RSU's it's 30 thousand. In the end of year four, if the stock price is 33 and you get 1000 RSU that's 33 thousand in ordinary income. If you add all these up, you've got 20 thousand in year one, 25 thousand in year two, 30 thousand in the year three, 33 thousand in the year four. Total of 108 thousand of ordinary income. That's important because that, pretty much, is your cost basis. Say now, two years pass after you vested your last shares. Say the price now per stock is 50, so you have 4000 shares into $50 a share. That's $200 a shares. You sell them, you've essentially made a capital gains of 200 thousand minus 108, which is your cost basis, your capital gains is $92 thousand and you pay capital gains taxes on that $92 thousand. Again, because you had it for two years after the last shares vested it will be considered long term capital gains on that $92 thousand. What Alex was referring to, since he sold his shares within a year after his shares vested, he fell into what is the short term capital gains rate because he sold it within a year and didn't wait those extra few days for it to become long term. The difference, when you sell it as short term capital gains, it's considered as ordinary income and it's taxed as ordinary income. The greatest tax brackets at that point are about 37% or so. If he had held it for a few extra days and more than a year since vesting, They would've been considered long term capital gains and they would've been taxed at the highest rate, which is only 23.8% now—20% long term capital gains versus 3.8% percent NIAP. You see how the huge difference of 13 or 14% in the tax rates, just by holding the shares for a few extra days. No, thank you Alex, I think this is some really creative advice you're leaving our listeners with. I really enjoyed having you on this show. Thank you again so much for coming on the MYRA Wealth Podcast, we've enjoyed having you on it.